Common Questions - Equipping You to share the gospel and save unborn lives. Why do some people call it an “abortion mill”? The term “clinic” defines a place of health care. More truthfully, however, the term “mill” defines a business that dispenses service in an impersonal or mechanical manner, as in a factory. Protesting is stating what you are against; Proclaiming is stating what you are for. We are for Life and helping others to make that difficult choice. It is a proclamation of Hope in Jesus followed by tangible support to mothers that makes this a proclamation and not a protest. Working with other ministries and individuals, we’re creating a network of believers that don’t show up empty-handed to simply protest. We do not shy away from exposing the truth of what abortion really is, but our core focus is the proclaim Jesus and provide support to the hurting. Why do some people hold graphic signs? Women are rarely told the truth about abortion. Without the truth, Satan is free to rob, kill, and destroy. It is urgent for these women to know the truth about this hidden evil, done in secret. We must lay bare the demonic lie that an unborn baby is not a human life. When we shine the light of truth about this “legal” procedure, it wakes up the sleeper and moves them to action. Truth can be horrific, just as the photos of the Jewish Holocaust, KKK hangings and other genocidal pictures have been shown to the masses to cause them to recoil in horror so that society will not commit those crimes again. Evil needs to be seen to prevent re-occurrence. These images of abortion will forever change the way people look at abortion. We also show real images of babies saved from abortion so that the mothers can quickly see the difference between the violence of abortion and the sweetness of new life. Absolutely. First of all, we abide by the laws of the land. Secondly, there are pro-life attorneys around the country that are available to consult/defend us if our rights are stripped from us while peacefully providing Life. When light displaces darkness there will always be tension. Because you have the freedom of speech in America, you always have the right to speak the truth without the fear of threat or intimidation by others. However, threats and intimidation are most likely exactly what you will receive. We have nothing to fear. We are safer in front of an abortion clinic than in the comfort of our own homes watching prime time television. How do you interact with abortion-minded mothers? First, in Titus 2 style, woman to woman and mother to mother, sidewalk counselors speak to women in a loving/helpful tone. They provide a host of information about their unborn baby and offer real choices to these mothers. Some women share their post-abortive experience, others information about the baby’s development, and others about their adoption experiences. Because of property restrictions, there are often limitations on interaction; therefore, some folks use a microphone to prevent yelling. Secondly, men are often the ones interacting and communicating with the men that have driven their wife/girlfriend/sister to the abortion center. Not only is hope offered, but a clear communication of the Gospel message, as well. What should I expect the first time I go out? We would recommend that the first time you come out you commit to prayer during that time. Check out some questions about praying at the abortion center below. When you contact us, we’ll connect you to a leader at the specific abortion center who can answer more of your questions about scheduling, parking, etc. You can expect to be disturbed. We’ve heard comments of how “dark” and “depressing” it was; how “sad” or “grieved” they felt. Some experience anger, indignation, or repulsion. It is a mission field, and you will be coming face to face with sin. As with any spiritual battle, be prepared for it to take a certain toll on you. One hour would be a good start if it is your first time.  Check out our sidewalk counselor directory to see if there are any counselors listed in your area. If there are not, that does not mean that there aren’t any ministering at your city’s abortion center. If no counselor is found in your area, check out the “Make Prolife Connections” under Preparation for more tips. The Kingdom of God advances through families on a mission. The very presence of a family speaks to a woman who is considering abortion. There are many families that minister on a regular basis with even the youngest of children. Abortion can be explained to even the smallest child in terms they can understand. What should I pray for before going to an abortion center? We intercede for the staff, the mothers, the fathers, the babies, anyone who may be involved in the life-ending process. Praying at an abortion center allows for more informed prayer, on-site intercession, and prayerful intervention in many cases. Simply let the Holy Spirit lead you.